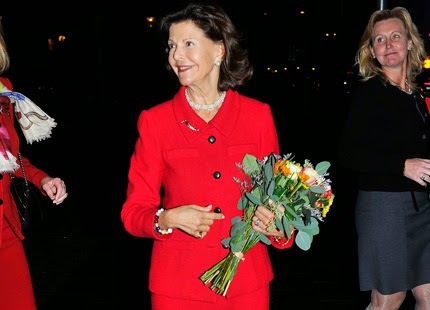 Swedish Royal Clothing ID's: Is this a re-wear? So I have had nothing much to do to day so what did I do- I wasted away my day on Google. 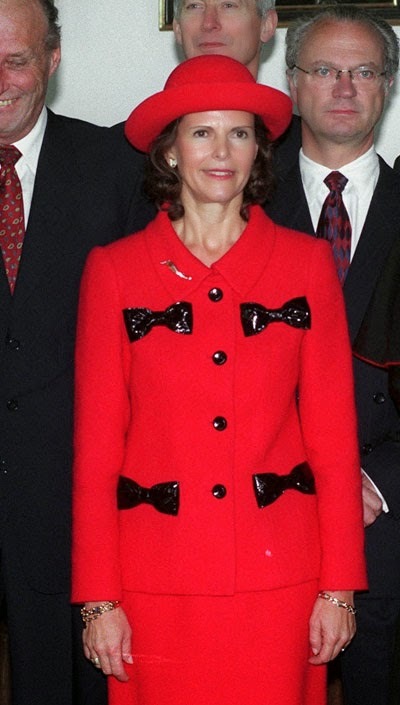 In my search I came across this suit that Silvia wore at the latest in 1999. I stared at it for a moment and then realized that I had seen a suit that Silvia had worn recently that looked strikingly similar. Check out this suit! What do you think? Are they the same just without the bows?